Aslig Potoian was born in 1905 in Keghi, Armenia. In 1912 her father left the homeland for America to establish himself and then send for his family. Before he could accomplish this, the war of 1915 broke out. Aslig, her mother, sister, brother, and neighbors fled the Turkish massacre for neutral territory. Along the way, she lost her mother and sister to illness and her baby brother drowned while trying to cross a river. Aslig, left an orphan, was taken in by neighbors who helped her get to an aunt living in Constantinople. She remained with her aunt for six years until her father, having learned of her survival through neighbors, sent for her. Aslig arrived to America through Ellis Island. She met her father in Spokane, Washington where he was working for the railroads. There, she met and married Soghoman Karagavourian. Soghoman, a highly educated man in Armenia, worked as a railroad supervisor in America. Together they raised five children. Her son, called Garabed, is my grandfather. 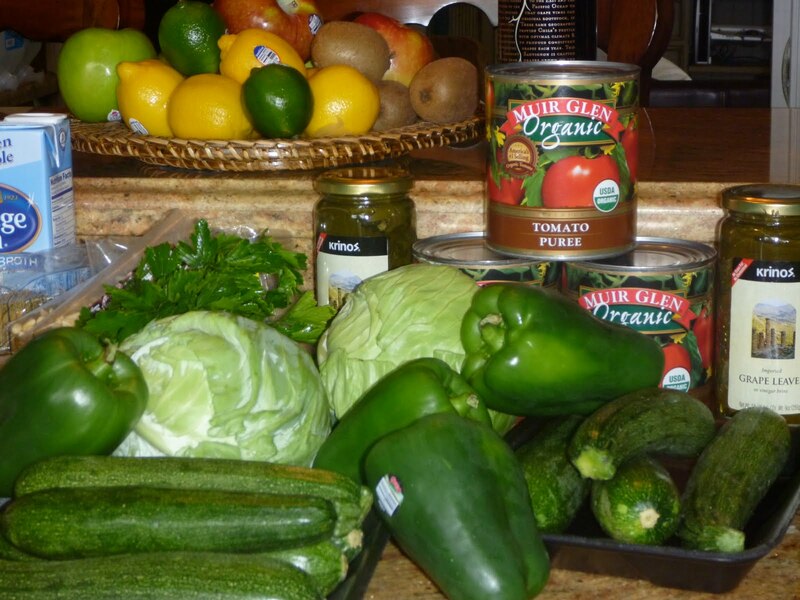 You may ask yourself how all of this is relevant for a blog dedicated to cooking and recipes?! Well, as it turns out, my obsession with food may be deeply rooted in my DNA. Great grandma Aslig cooked for the men on the Spokane railroad and my grandfather and his brothers went on to open a restaurant in southwest Washington. 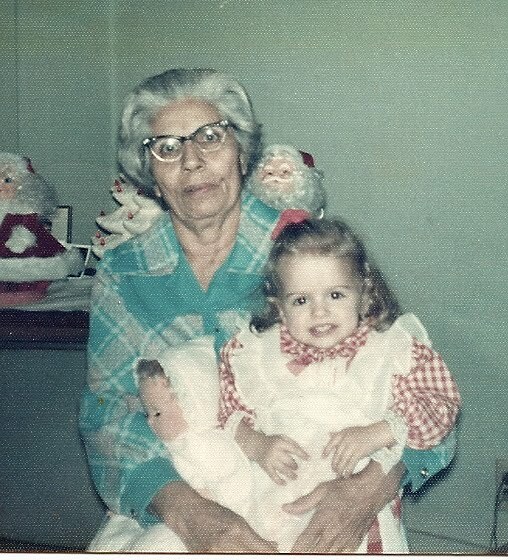 My fondest memories of my great grandmother are of her enduring strength and love, her impish laugh, and of course, her cooking. The following is a dish that we often eat at family gatherings. 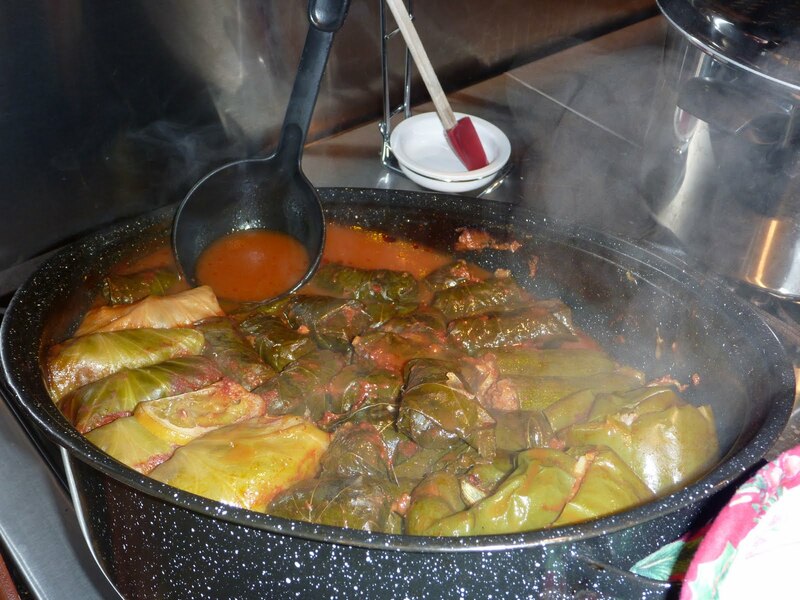 Technically this dish is called Armenian Dolma, but we have always referred to it as Sarma. The measurements are approximations and ingredients may vary depending on preference. This one, however, tastes like home to me…. COMBINE in a large mixing bowl, careful not to overwork the meat. ADD a liberal amount of salt and pepper. COMBINE in a small mixing bowl. SPOON mixture into the hamburger, mixing in the desired amount. *Cover the meat mixture with saran wrap, refrigerate for an hour or more to soak up the flavors. PLACE leaf smooth side down, vein side up. CUT any stems off. 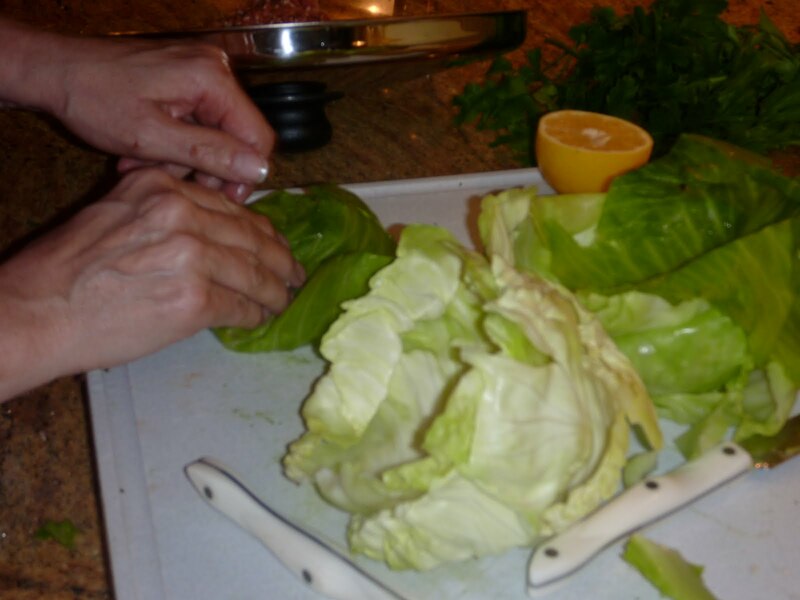 ROLL a small handful of meat between your palms and place just above where the stem has been removed, fold the bottom protruding edges of the leaf up over the meat. 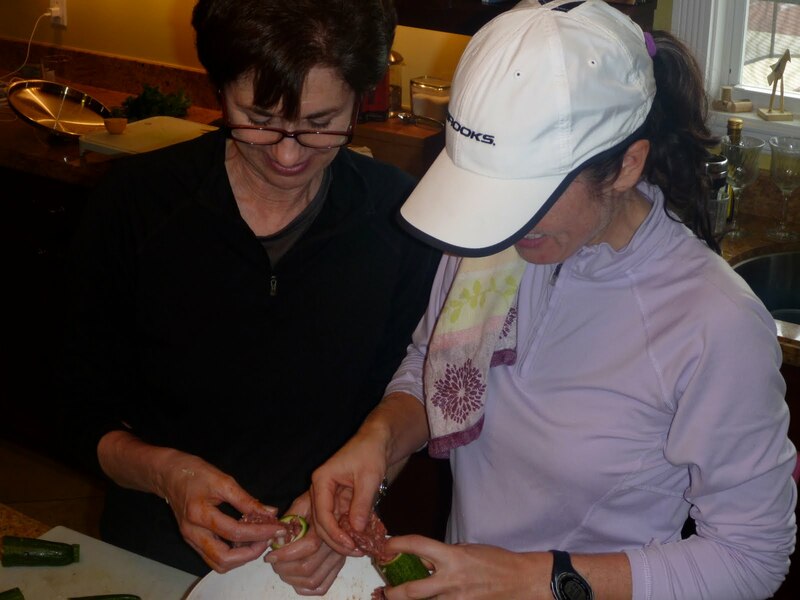 FOLD the left then the right edges of the leaf over the meat, then roll to the top edge of the leaf to form a tight cylinder. 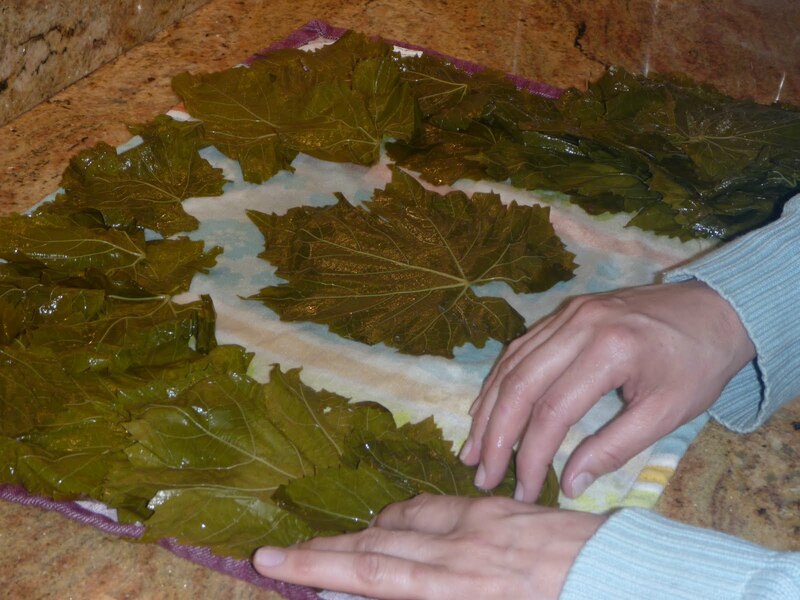 Using a large dutch oven, or oven safe pot with a lid, pack vegetables tightly, placing grape leaves and cabbage seam side down. POUR approximately 1 28 oz can of tomato sauce over the top. 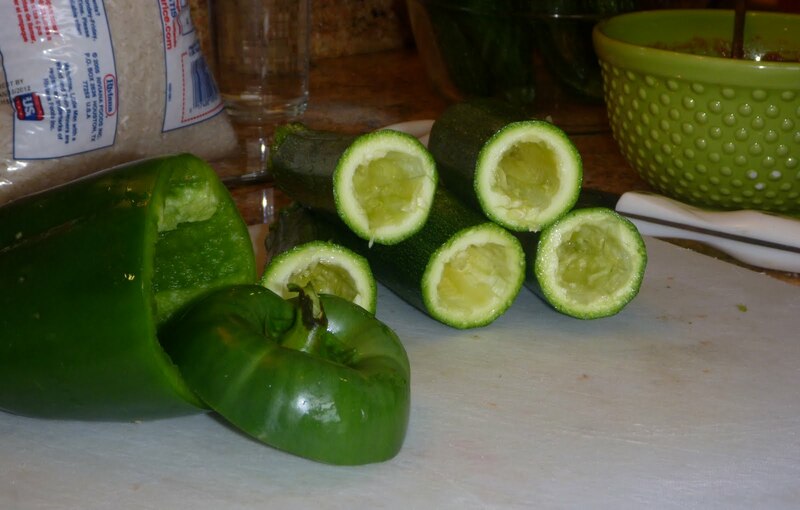 ADD enough water to completely submerge the vegetables. 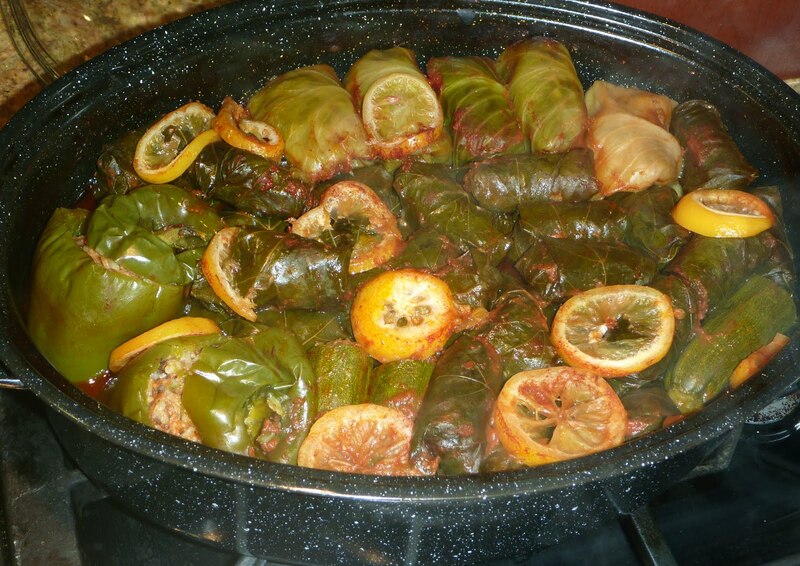 SLICE one lemon over the top of the packed veggies and juice (you may also cover with extra grape leaves or zucchini stems for added flavor) COOK at 325 degrees for 3 hours (or up to four, as the rice needs to completely soften). *If there is room, consider packing oven safe plates over the top of the veggies, juice, and lemons before placing the lid on the pot. This keeps everything tightly packed and submerged during cooking. 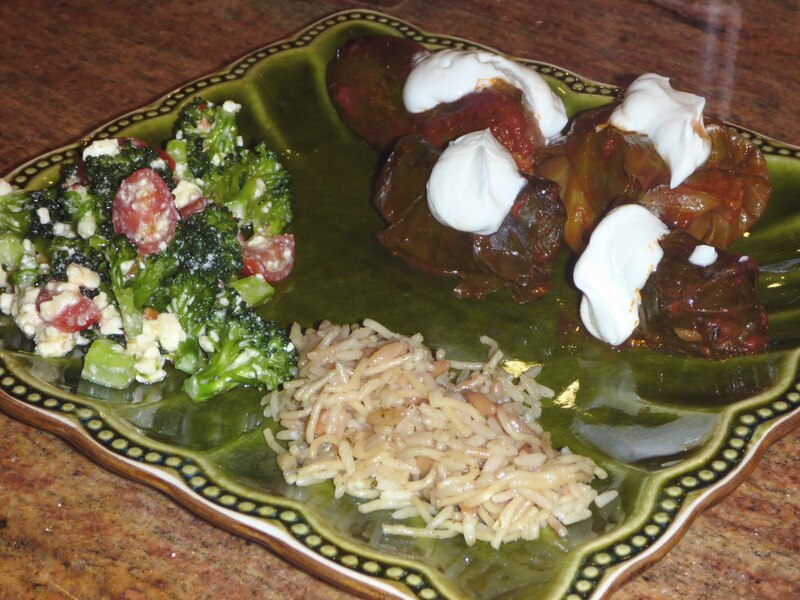 Traditionally, Armenian Dolma is served with madzoon, or plain white/greek style yogurt and Armenian Rice Pilaf. >What a lovely tribute. This looks so YUM – I will have to try! !